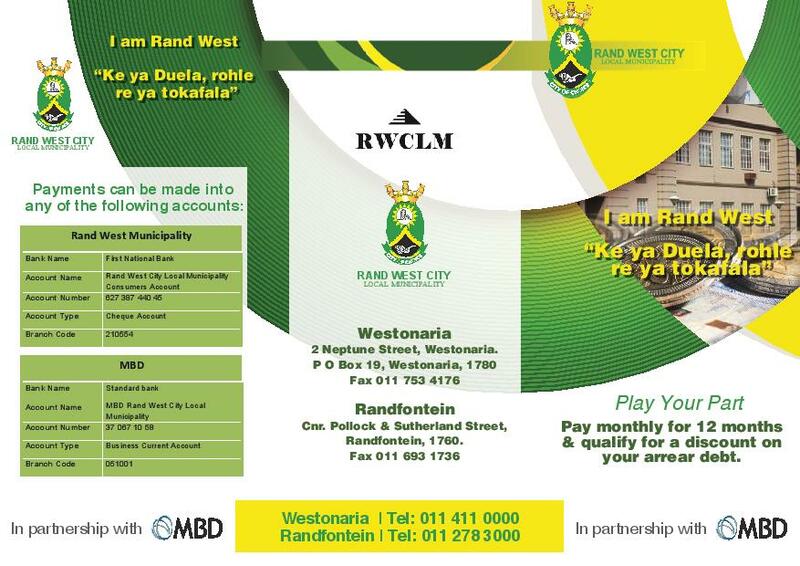 Public Notice - The consumer’s account numbers for both Westonaria and Randfontein have changed. To avoid duplicate accounts we have inserted additional digits to your current account number. 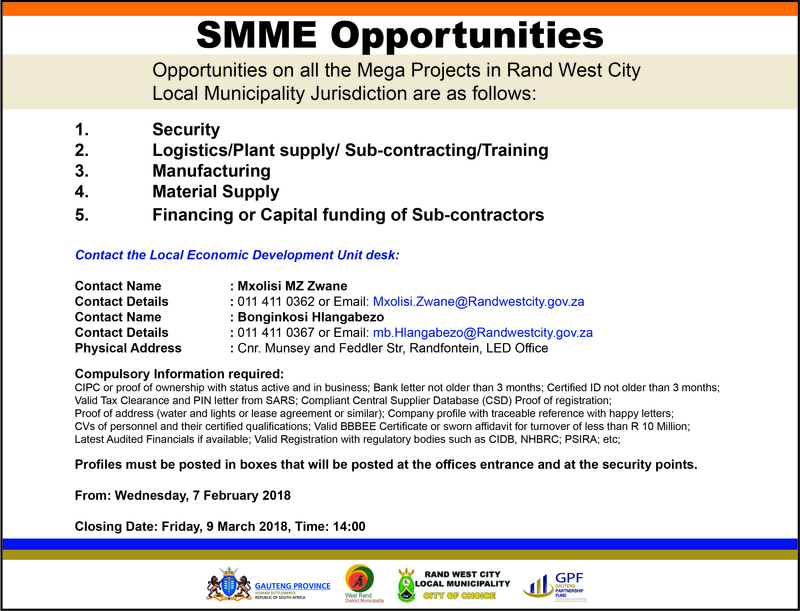 The account numbers for former Westonaria Municipality will start with 02 and Randfontein Municipality with 01. 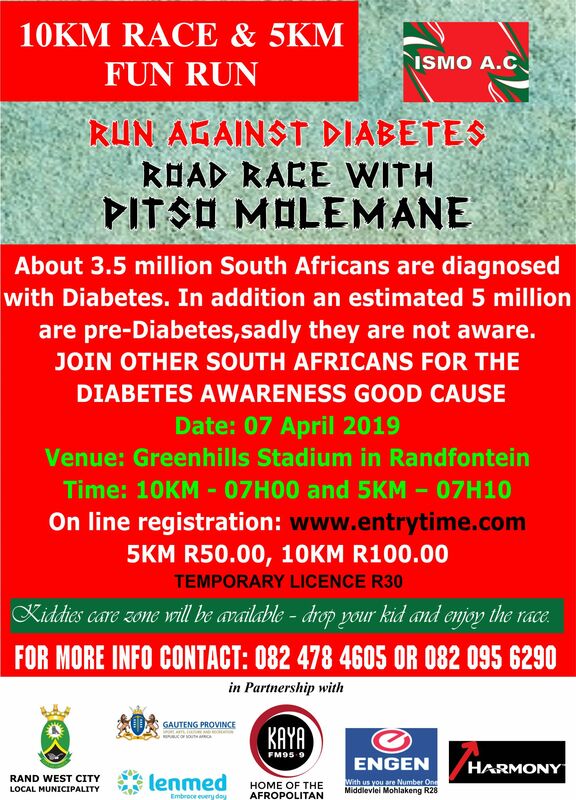 Randfontein Old Account 0001040489 -> New Account 0101040489. Westonaria Old Account 0001050569 -> New Account 0201050569. Please contact your local municipal office to get more clarity on the change. 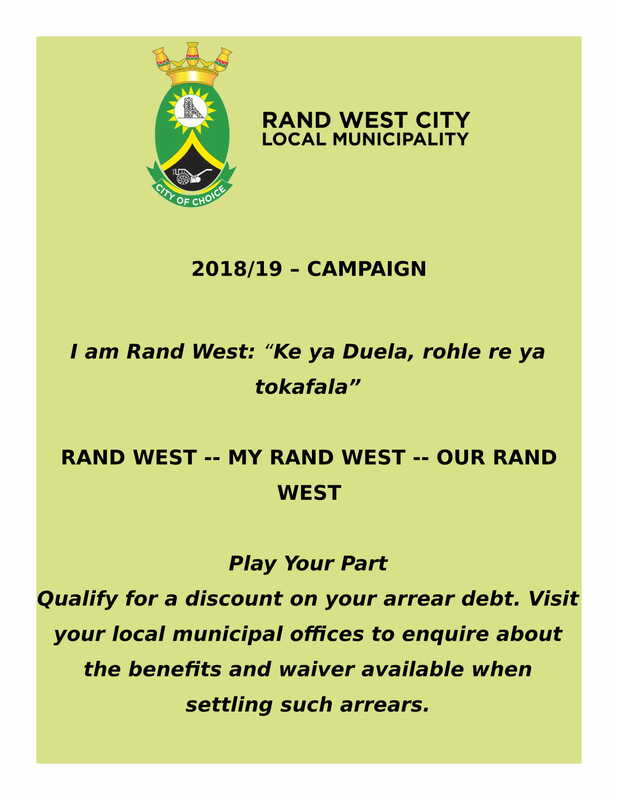 Customers who pay municipal accounts using direct bank payments, Post Office, Easy Pay, Shoprite and Pick and Pay are encourage to use the new August statement when making payments. 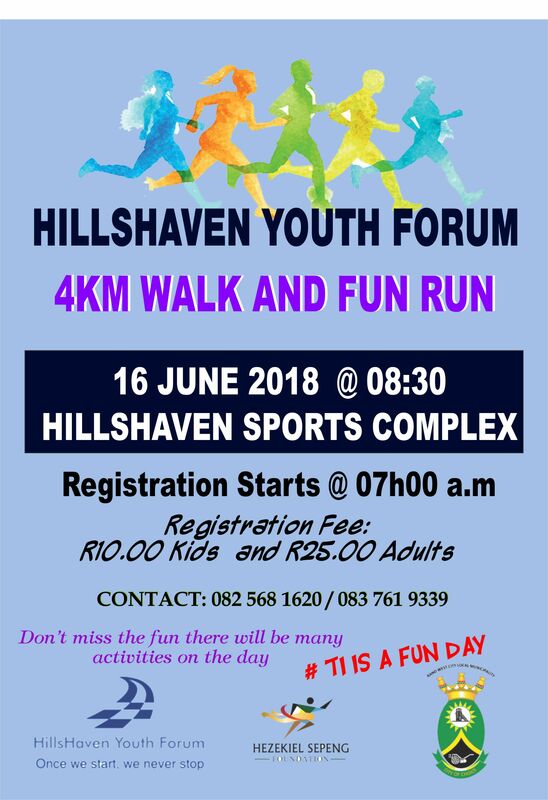 - Municipal Manager : Themba Goba. Read More.. World TB day 24-03-2018..